We have a huge madhumalti (Chinese Honeysuckle) vine at the backyard of our house and when I was a child I literally used to sit for hours in the mornings just to enjoy the lovely and refreshing scent of the madhumalti flowers. When I got this soap, I instantly fell in love with the scent and wow I cherished my lovely childhood moments. I am totally happy with Soap Opera Soaps. They are non toxic and sulphate free and are gentle to the skin. 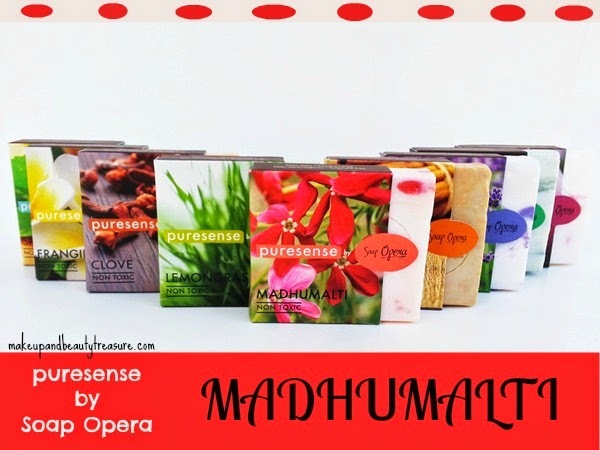 Today I am going to review Soap Opera Madhumalti Soap that falls in floral range. 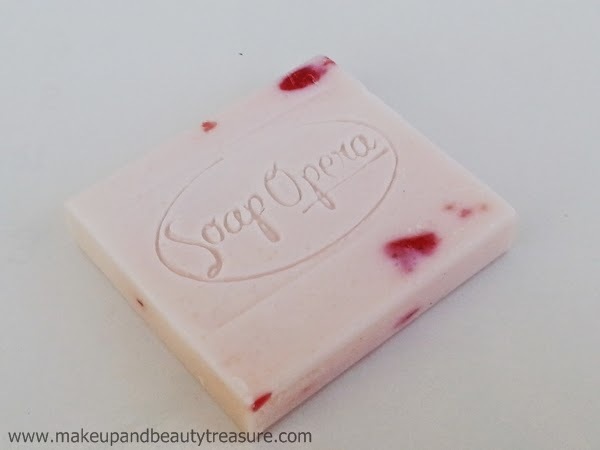 I already did detailed reviews on Soap Opera Soaps in Lemongrass, Lavender and Clove (read my review HERE, HERE and HERE respectively!). 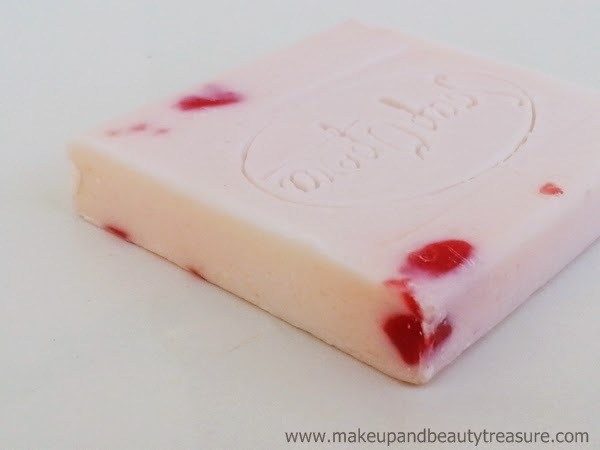 The soap is light pink in color with dark red chunks all over the soap. The scent is OH-SO-DIVINE and makes my bathing experience all the more enjoyable in this hot and sweaty weather. 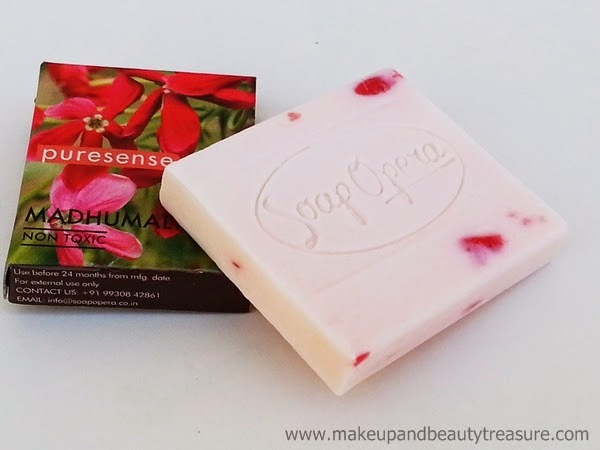 The soap creates rich lather and feels gentle on the skin. It makes my skin soft, smooth and clean. It does not dry out my skin but I have the habit of applying body lotions anyway. 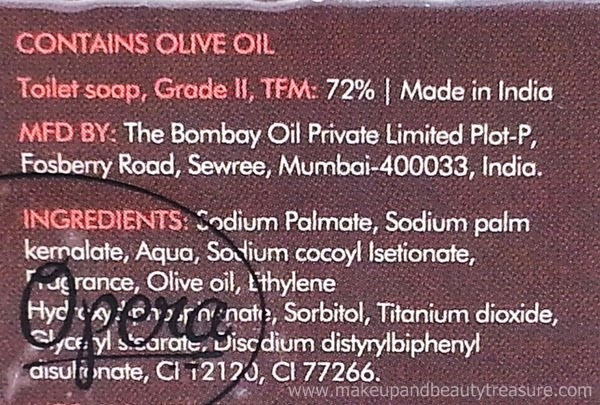 It is paraben and sulphate free and contains olive oil that is really good for skin. I find the results of Soap Opera Madhumalti Soap same as that of other Soap Opera Soaps I have tried. Except for the fragrance, I find everything same. The soap suits all skin types and is quite gentle on the skin. 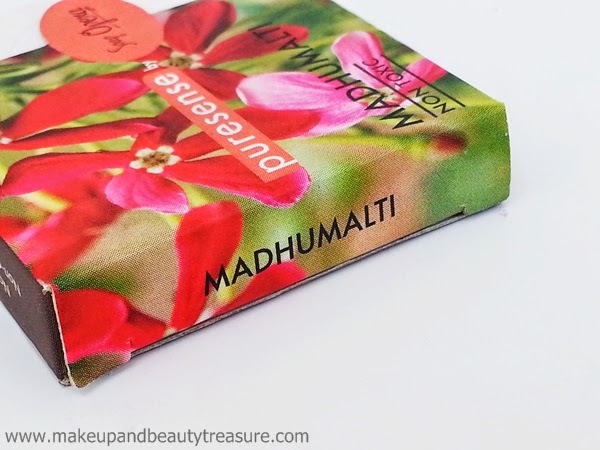 If you are fond of floral fragrances then I would highly recommend it to you! 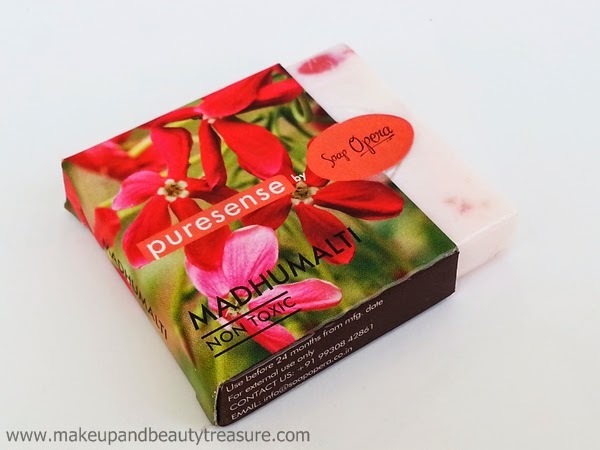 Have you tried Soap Opera Madhumalti Soap? How was your experience? Share in the comments section below!